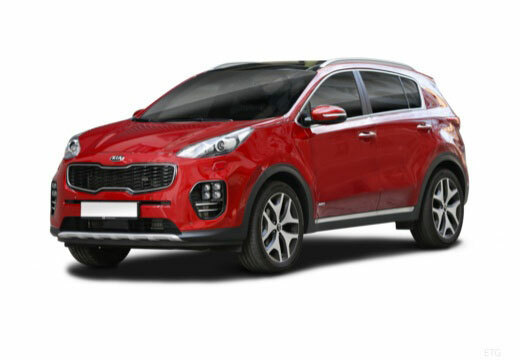 The Kia SPORTAGE is a J-segment SUV which was first introduced by the South Korean manufacturer Kia in 1993 – and is currently in its fourth-generation. The first-generation Kia SPORTAGE is available as a 3-door convertible and 5-door compact SUV, with consecutive generations only available as a 5-door compact SUV. Optimised handling through Hankook's TCT-Technology. Optimised profile design provides maximum aquaplaning safety. Two weeks in and they’re performing just like a tyre should be. Quality tyre for the price purchased. Would recommend and purchase again. The tyres are doing fine, but still feel I have paid a little over the odds. The fitters did a good job, Customer service very poor as I had to keep calling & chasing them to find the correct tyre type.